Author Archives: So Here's Us.... life on the raggedy edge. I'm a bookworm, nature lover, kick-boxer, candy fiend, sci fi geek, home body, progressive Christian and part-time student. I love my crazy life and the messy, fun, stubborn, silly, brilliant people who populate it. ‘Hide and seek’ is a favourite game in our house. It goes like this: out of nowhere a squeaky little voice demands I count to ten. Then yells “Close you eyes!! !” as feet scamper away. But not very far away. There are three spots in heavy rotation these days – behind a bedroom door, the corner of the couch with a blanket over the head (and only the head) or wedged between the tall cupboard door and shelves in the kitchen. When I finally clue in it’s all laughs and hugs, because being found is the best part. My kids have very little desire to hide. They’re not even interested in winning. But they SO badly want someone to seek them out. I wondered if this is a developmental stage or special needs thing. I wondered if it is an adoption or attachment thing. I’ve decided it’s a human thing. Why else would I wade through awkward small talk and inane status updates? Why linger after school drop off? Why ask people out to coffee – which I don’t drink and can’t even stand to smell? I want to know that my face isn’t another blur in the crowd. I’m drawn to people with empathy and insight. I cherish friends who know me well enough to see beyond “fine.” I want to be noticed, understood, appreciated… we all do. We don’t just crave connection, we need it. I’m not always good at it. It’s exhausting. And scary. I’m more comfortable behind a flickering screen, hiding in my house, snug within my routine. I’m an introvert. I don’t have much time or energy to spare. If I try hiding less and seeking more maybe I’ll find someone else who needs it too. Not just in the big wide world, but here in my own home. Not just the building of life long friendships, but in small ways, in passing interactions with strangers. It’s a basic human reality – we’re all hoping to be found. If you know it, the song is now stuck in your head on endless loop for the rest of the day (you’re welcome). Silly song. Annoying ear-worm. Surprisingly on point. I don’t come from a family of huggers. Do-ers, Give-ers, Make-ers of Casseroles, but not particularly touch-y folks. Which means it was no surprise that my eldest child turned out to be a non-hugger. From the very first days she disliked long snuggles, refused to be swaddled, and would not sleep until she’d been laid down in her own space, to sprawl out undisturbed. As a teenager this distaste for hugs has intensified. She tolerates them for our sake. Her feelings on the matter are transparently clear. And it is a need, for all humans, even the non-touchy ones. We know that infants will not thrive without adequate touch. Scientific studies show that hugging for 20 seconds or longer releases the hormone oxytocin which reduces stress and creates feelings of contentment. Maybe four isn’t the number for all of us. I’m pretty sure my youngest child is on the other extreme of the spectrum than my eldest. He craves near constant physical affection and has very little sense of personal boundaries. Right now our “Kisses are for Family Only” campaign is in full swing at school. We already had a little book on it, since B had the same issue at his age. There are a lot of snuggles in our house. And I’m pretty sure it’s saving my sanity these days. If I’m honest I think I need it more than anyone else. Which is why there will always be hugs for teenagers, even if they count down the 20 seconds each time. Also why, we are happy for the littles sit in our laps and climb all over us and hold onto a hand/finger/leg as needed. Why, as a couple, we need to do better at hugs hello and goodbye kisses, even though it doesn’t come naturally in the midst of busy life. Today at 7:00 pm parents around the world will light a candle in memory of the babies they’ve lost. It’s called the International Wave of Light. I’ll be lighting 2 candles for our sons Noah and Simon. 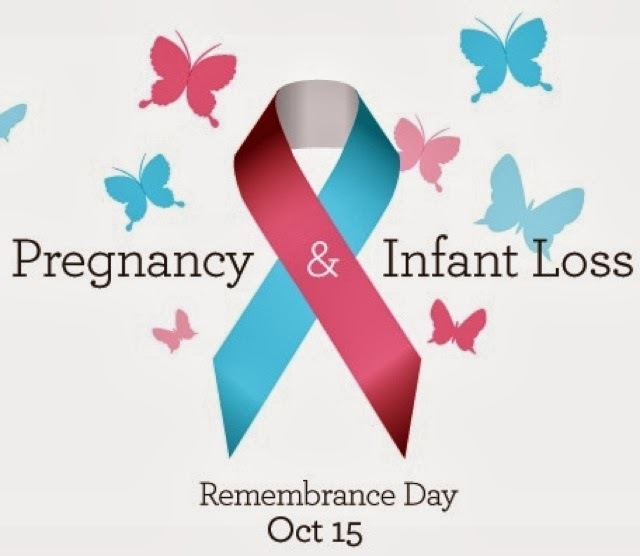 Pregnancy and Infant Loss Day may seem like yet another awareness campaign in an endless round of causes and crusades. Unless you’ve held a tiny little piece of your heart in your hands, or in your body, as you say good bye. It’s a devastating loss made all the worse by the worlds eagerness to sweep past it as quickly as possible. To us, a day like this is validation, comfort, permission to grieve years later and never, ever, get over it. Don’t get me wrong, I’m not advocating eternal wallowing and pain. 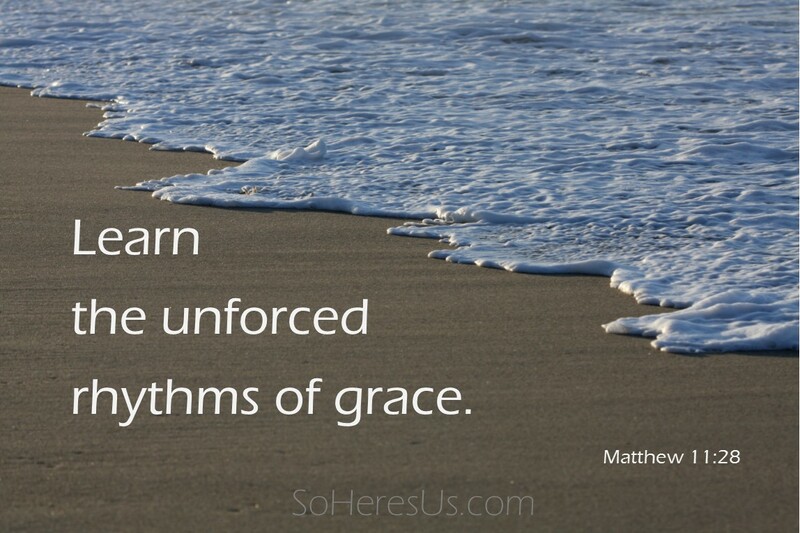 But healing comes when we absorb our losses and walk alongside grief in all its seasons. The death of a child is not something that you get over. The death of a child before or shortly after they’re born is often seen as different on the scale of sorrow. Their lives and our grief somehow meaning less. In my experience time is no measure of parental love and attachment; the impact is different for every person regardless of gestational age. I’ve seen extremely early miscarriages which are gut wrenching and late term still births handled with aplomb. I’ve stopped trying to measure what grief anyone is entitled to. A loss is a loss. Only you will ever plumb the depths of your own losses. Grief is by its very nature a lonely journey. Yet, this is a common experience. One that 1 in 4 experience. A few weeks ago the waitress at Denny’s let it slip that one of the three children she mentioned had died, and looked embarrassed, bracing herself for a socially awkward moment… I teared up, touched that she would keep her in the count. Yesterday I learned a friend had lost another baby, and I honestly searched for something meaningful to say, left only with a simple ‘I’m sorry.’ Scarcely a month goes by when I’m not aware of another loss and left grasping for some sort of help to give. Maybe it is enough that we are not alone. Neither in our grief, nor in our desire to honour our children. They are precious. They are missed. They are always in our hearts. So please, light a candle tonight at 7 pm. The first thing I thought when I watched this video was that it didn’t apply to me. 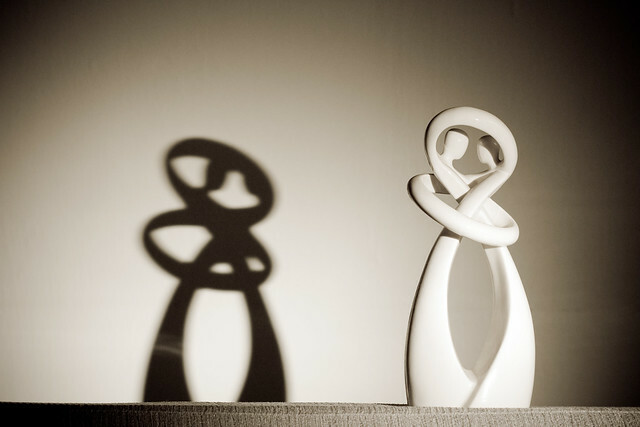 Finally, Brene Brown talks about something that has nothing to do with me. It’s about time. The second thought followed closely after that – now how can I get everyone else in my family to watch this? Because, you know, obviously they’ve got problems. And quite frankly I’m tired of all the anger that gets thrown around here. Chalk it up to teenage hormones, sleep deprivation, critical illness, survival mode… or maybe just life; we’re brittle these days. It doesn’t take much to spark a fight. The words “I’m so sick of this” have been heard a lot. Usually in my voice. This morning as we piled into the van, a few sparks already smouldering, alarmingly late and terribly stressed, I realized the gas tank was on empty. Empty. And I wasn’t the one who drove it last. Just what I needed. Thanks a lot Fellow Driver. I was spitting mad. Far more than an innocent mistake should elicit. Then I remembered this video. Turns out I own a big slice of our family’s anger issues. Me. I’m a blamer. And I should probably do something about that. When life is hard Thanksgiving, both the act and the holiday, become more taxing and somehow more meaningful than ever. In fact, I think the diminutive “Turkey Day” fits better for those whose world is shiny and carefree. Let them focus on setting a festive table and keeping family traditions happy and undemanding. It’s so obvious and easy. Which is fine. Nothing wrong with it. Easy sounds nice. Yet… I don’t envy the tame gratitude of the undamaged. There is something precious about hard won contentment. Not the phony kind that represses and retreats, but the shards of hope than shine brightly in broken places. Our hardest Thanksgivings have been our most beautiful. This year more than ever. I feel a deep, desperate, primal gratitude that my children are alive today. Thankful that my husband is close – when it would be so easy and so predictable to give up on us. Thankful that we have been carried and cared for by so many loved ones for so long. Thankful for words to write and music to dance to and bodies that are (mostly) strong enough to do it. Thankful for laughter and frustration and even tears – because it means we are human and we are family and we are here. I’m not prepared to say I’m thankful for cancer or genetic syndromes or anxiety disorders or complications of adoption or the dozens of other enemies we face. But I am so very thankful for what I’ve learned and who we are all becoming as a result. I’m so proud of my people: family and friends, and strangers even, who face the same struggles with such resilience, honesty and courage. The world is full of amazing people, more than I knew before. It’s not been an easy year, but it’s enough. Note for confused American readers: It is Canadian Thanksgiving this weekend. 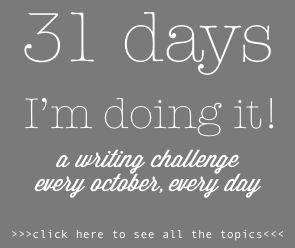 I made a commitment to blog 31 days in a row. I’ve never been one to take this kind of thing lightly. I am a completer, a finisher of tasks. Yesterday began all too early and filled up before I could blink. Somewhere along the line I realized that I hadn’t had time to think about writing, much less do it. I might miss a day. So I stopped. I didn’t waste another second feeling bad about my imperfect 31 Day track record. I’m writing this today, because I want to. And I may post it… if I feel like it. How novel. To do what I want to do with my free time. To do what I want to do without apology. That book I started reading that just isn’t capturing my attention, the one that everyone raves about and I really ‘should’ read… I’m letting that go. But I’m still counting it on Good Reads (cause I’m a rebel like that). Not gonna beat myself up about unanswered emails and friends I don’t have time to catch up with either. Turns out, I can’t be all things to all people after all. And this friendly introvert is pretty used up most days. Hopefully most of you are finding this pep talk kind of ridiculous. Wondering who would obsess about such silly little things. That means you live in the kind of freedom that has eluded me most of my life. I have a hair trigger guilt reflex. All too often, I’m tangled up in invisible cords of should. Bound up. Weighed down. Constantly tripping over the harsh expectations I have of myself. Until even my hobbies feel like jobs. That’s the only word that fits. Nothing polite, nothing trite or gentle will do. I won’t coddle this bad habit anymore. There are enough real problems in the world, I don’t have time for false guilt and perfectionism. I don’t even believe it anymore. I used to think I was more responsible, more spiritual, more likely to succeed this way. But it’s just pride wrapped in self-loathing, having nothing at all to do with God. Also, really exhausting, because life was never meant to be one long grueling self-improvement project. For those of you who don’t know – Canada is in the midst of a Federal Election. And it’s taking forever. The longest election in modern history for some indecipherable reason. Not that I’m at all bitter (I am). This is a tough time for all of us. With 4 political parties to choose from, it is easy to feel torn. If only we could create our own political hybrid. I’ll vote for this immigration policy and that economic plan and their compassion for Aboriginal women, Mulcair’s experience, May’s common sense and top it off with Trudeau’s hair (of course). There’s no such thing as a perfect solution. I wish I could be a true believer. Personally, I’m voting to keep someone from returning to office more than anything else. Regardless of where you stand, or what level of frustration/confusion/apathy you feel, the only wrong move is no move at all. Living in a democracy is a privilege and a responsibility. Not because we’re infallible political experts. We’re not. I’m not. Government isn’t some random bureaucratic monster. It’s our bureaucratic monster. It’s us. It’s who we want to be and how we plan to get there. The system’s not perfect. And it’ll never be perfect. But we have to try. I’ve always been proud that we see ourselves as a community, not a bunch of individuals. I’d like to think that selfishness and fear are patently unCanadian. So, I’m digging in and trying to figure it out, because there’s only 11 days left. If I don’t vote I have no right to complain about the government, at all, until the next election. I try to fill the spaces of my life with words, words, words. We had another long day of medical assessments today. It went well. My boy ate barium-laced food without complaint and sat still enough to swallow for the camera. 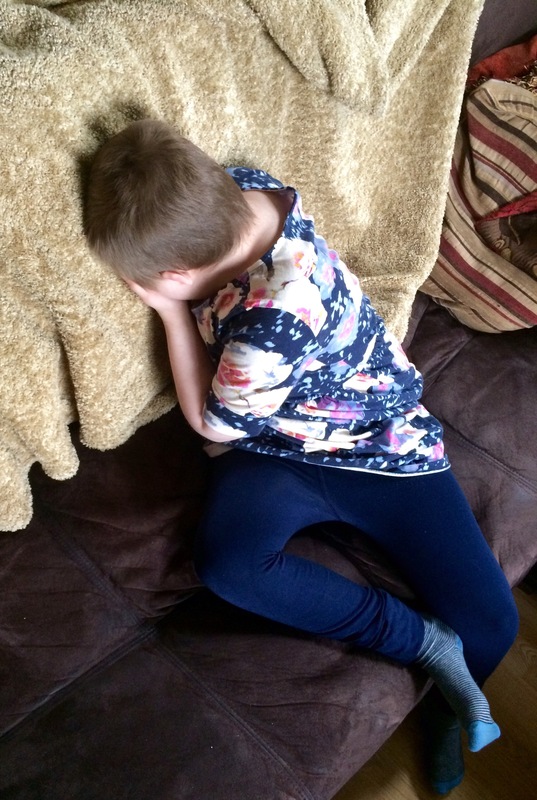 He was quickly distracted from the sting of eye drops by the surly teenager across the room who was playing video games (tried to climb onto the poor boys lap). He watched YouTube videos about the solar system for hours during examinations and team consultations. We checked a number of worries off our list, with only a few small additions to the reasons-why-I-stay-awake-and-feel-guilty list. One of many still to come. I decided I would simply add an inspiring Ted Talk video as my blog today. So much better than what I might say anyway. Naturally I got sucked in, watching one more and then another and another. And here I am an hour later. Better informed I’m sure. But somehow more tired than ever. And discouraged. Not because the talks aren’t motivating and exciting and chock full of good ideas. They are. But so much of it won’t work for me. Not right now. As I watched a talk about dreaming the life I want and taking bold steps to get there, I realized why I feel so left out. Not just Ted talks, but parenting tips and elaborate holiday plans and the latest greatest decorating fad on Pinterest – all of which my kids would demolish in seconds. Our society assumes we have the agency to make anything we want to, happen. 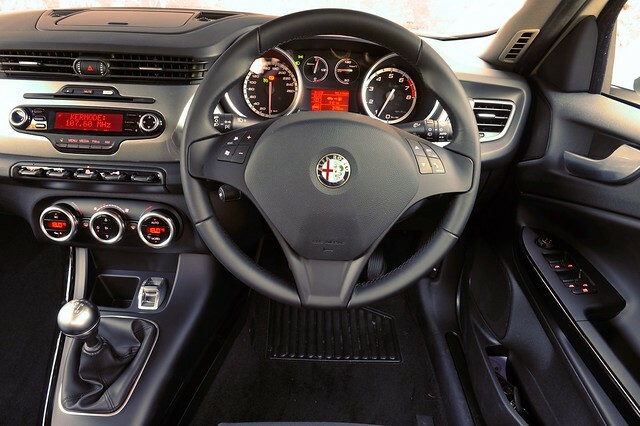 That we are in the drivers seat of our own life. That we determine how it will go. If we use the right technique. If we work hard enough. If we pray the right prayers. If we eat the right foods. If we make the right decisions. If we want it bad enough. The truth is, I don’t have as many choices as most people in my social circle. When the speaker asked, after a dramatic pause… NOW where will you be in a year? My answer isn’t all that complicated. Exactly the same place. That’s the best case scenario. That we’ll have only 6 months of chemo left and a new cycle of medical assessments among other things. And if I’m dreaming really big, a few less pounds and a few more online courses under my belt. Even that, is far more control over my own life than most women in my situation, in other parts of the world, or in all of history have ever had. I’m incredibly privileged when I extend my sight beyond my Facebook feed and my immediate surroundings. Yes, there are some doors that open so much slower for our family and some that will always be closed to us. And it’s a rub. I’ll probably stumble on new pockets of grief all my life. In the end, I gotta believe it makes me see life clearer. Because we really aren’t as in charge as we think. Contentment is less about taking control of my life and more about accepting it. Happiness and self-worth based on accomplishment is fleeting. And exhausting. Success is completely different from one person to the next. It’s deeply personal. And I doubt it’s pinnable. Describing today… the words that come to mind are: ‘insanity’ also ‘gruelling’ and ‘why-on-earth-do-we-have-so-many-kids/appointments/medical issues. Today I’ve spoken to an OT, 3 SLPs, a dietician, 3 Pediatric oncology nurses, a nursing student, a child life specialist, a lab tech, a PT, a social worker, and 2 psychologists (if you know what all these are you likely have a child with special needs or work in the field). Tomorrow will be even busier. For some reason, in all my wisdom, I made plans to make an elaborate (for me) dinner tonight. I’ve been craving meatloaf and mashed potatoes. After a day of driving and appointments and cajoling little patients into cooperating… this part of the day was for me. Until it all fell apart. And I can blame the traffic jam and the skin infection and the doctor having other responsibilities – and possibly universe itself because, of course, when does anything go smoothly for us? When I realized my meal plans weren’t going to work out I handled it like a mature adult. Teeth gritted. Deep breaths. Low level anger trying to gnaw it’s way out of my chest. On top of that, a layer of guilt. Because this really isn’t a bad day in the scheme of things. I had cried over a heartbreaking Facebook post from cancer friends earlier that day. In a world where stuff like that happens, my ruined dinner plans should barely register. I made another plan – Daddy makes dinner tonight. Kraft Dinner and spinach salad to be precise. Not my favourite meal plan. But what a relief. Now I had time to catch up with an old friend in the midst of errands. And there wasn’t any rush to get home. And when I got there we all sat around the table and laughed together and shared our stories and it was the best part of my day. And the food wasn’t bad either. So, I guess my point is this: often my worst enemy is my own expectations. Life goes smoother when I hold plans loosely, and flex with the situation. Especially on days like today.